To Be Or Not To Be Signaling The Alien? 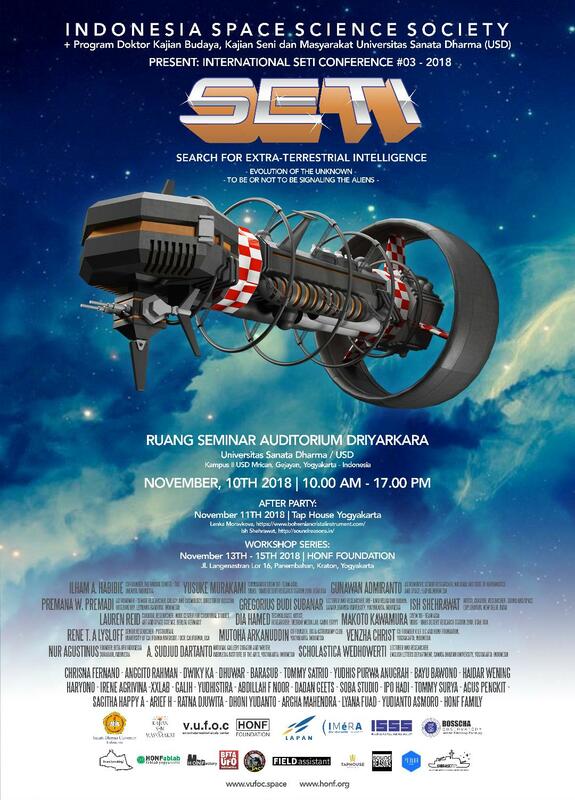 S.E.T.I : SEARCH FOR EXTRA-TERRESTRIAL INTELLIGENCE EVOLUTION OF THE UNKNOWN - TO BE OR NOT TO BE SIGNALING THE ALIEN? An International SETI Conference #03 2018 SETI - Search for Extraterrestrial Intelligence... It is an effort to detect evidence of technological civilizations that may exist elsewhere in the universe, particularly in our galaxy. Evolution of The Unknown - To Be or Not To Be Signaling the Aliens ? is a symposium which invites participants whose work is on the horizon of the known, from various fields, across science, the arts, astrophysics, astronomy, space science, humanities and other less traditional fields of study. We come together to share our experiences of confronting the unknown, and the impact of the unknown on culture and imagination. Participants are also encouraged to bring any experiments or works they have made that may create encounters with the unknown, in a form that others may interact with. It will also be an opportunity for an experiment in the unknown that will be run during the symposium, with participation from attendees.